Brighton and Hove City Council was accused of using public space protection orders (PSPOs) to target a specific racial group. David Thomas, representing Brighton Housing Coalition, raised his concerns at the council’s neighbourhoods, inclusion, communities and equalities committee. The claim was denied when the committee met at Hove Town Hall this afternoon (Monday July 2). Mr Thomas, chief executive of Friends, Families and Travellers, wrote to the council saying PSPOs should not be used to target homeless people. He went on to say that the Brighton and Hove Park and Open Spaces PSPO breached the new guidance and the Equalities Act. His letter ended: “The recent council report on its operation makes clear that the PSPO is used only to target homeless people and travellers. In response, the committee’s chair Labour councillor Emma Daniel, said that PSPOs in the city were limited to 12 pieces of land. The policy was brought in after the authority worked with the Equalities and Human Rights Commission to help all sides. 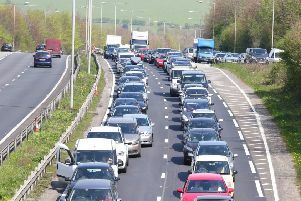 She said that the policy did not come into effect until the council had opened its travellers transit site in Horsdean. Mr Thomas said: “Since I came to live here I have been proud of the tolerance and inclusivity of Brighton and Hove. “PSPOs have certainly been used for targeting travellers. Councillor Daniel said that she disagreed with everything Mr Thomas had said and added that no PSPO notice has been made since March.